Product information "Bayerische Alpen Band 1: Sport Climbing Guidebook"
Climbing in the Chiemgau, (at that time, when the sport climbing was not yet invented) this meant: training for the proper mountains at the Kampenwand and perhaps at the Hörndlwand. Both traditional areas are compleately featured this guidebook. The Hörndlwand even for the first time since the renovation and development of numerous sport climbing routes in the 90’s. Today, most climbers connect rather sunny rocks with the Chiemgau, such as the Zellerwand, the Pleitewandl or the beautiful, simple Auerwandl. The fact that there are many more rewarding areas next to it, is something few people know. Markus Stadler has researched them with the active support of some important locals and gathered them all in this guide in best Panico quality. However, because the Bavarian Alps east of the Chiemgau are far from finished here, this guide also includes the sports climbing areas around Berchtesgaden. The home-climbing garden of the young Huberbuam, Karlstein near Bad Reichenhall, is the largest of these - in addition there are a number of smaller and less well-known climbing opportunities at the foot of the Watzmann. 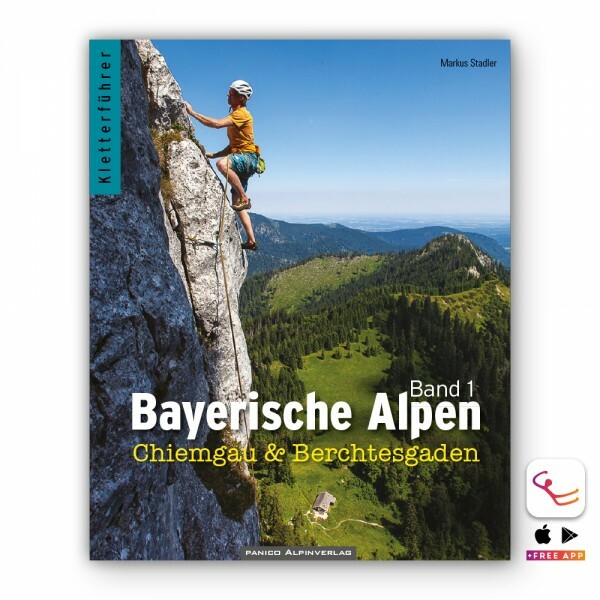 Related links to "Bayerische Alpen Band 1: Sport Climbing Guidebook"
Customer evaluation for "Bayerische Alpen Band 1: Sport Climbing Guidebook"